"No Whoops Moving goes above and beyond for their clients! I had their assistance with my storage facility. I was completely amazed at how efficient and well-organized the job process was. My storage facility was a disaster. No Whoops Moving unloaded it all, organized items, reboxed items, discarded all unnecessary items, and moved them back into the storage facility. OMG...it now has walking room with the items all in reach and well-organized! I would refer No Whoops Moving to everyone I know!" "Thank you, everything made it! Very fast and careful service. Great Job!!" "Thank you for sending two great guys to move my daughter & son-in-law today. They did a fantastic job in record time. I did feel bad that they never took a break or slowed down it was just too hard of work to keep a steady fast pace. But they did it. Very pleased with how everything went." "You guys are the BEST! Fastest, nicest bunch of people. They were there for me when I could not find anyone else in January of this year, 2009. Then again when I had to move in August, 2009. They are the BEST. Fast, efficient, dependable, and just all around good people to have handling all your precious stuff. They have a knack for getting a whole lot of stuff in small places on a truck so there is no need to worry if there is enough room, they make room. THANKS YOU GUYS! Couldn't have done it without you, at least not as efficiently." "Thanks for the AWESOME crew that you sent us we had a wonderful time getting to know them and they did an OUTSTANDING job. 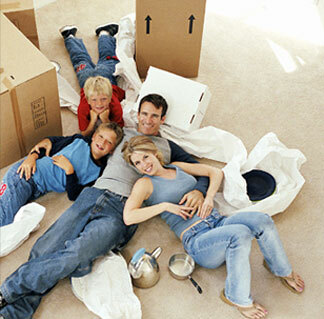 When we move again we will for sure use your company and will for sure send you people as soon as we know that they are looking for a moving company." "They arrived on time and were very professional. They worked well together and made moving as enjoyable as possible. When they arrived, I had less packed than expected and they still finished everything within the quote price!! Thanks! !﻿"
"I just wanted to let you know you did an awesome job with my move and made it as easy as possible." "After going through really bad experiences with both the loaders at the beginning of our move and then the unloaders on this end when we had to put our belongings in storage for 2 months, we were really hesitant to call movers again. Thanks Rob and crew for making the last stage of our move a great one!" "Rob has moved me numerous times. Excellent service as always. Highly recommended!!" "From start to finish this group can be summed up in 1 word = EXCELLENT." "What a relief to have them move things into an upstairs apartment! The stairs were narrow, steep and awful. They were very nice and I would DEFINITELY use them again!" No Whoops Moving concentrates on one thing, the safe travel and delivery of your items. Our focus is on repeat and referral business and that only comes with 100% satisfaction from each and every move whether it's your first or last. In order to guarantee that you get the most accurate estimate, please call us to setup an appointment so that we can meet with you to discuss your items and the move in detail. This will give both of us, not only a better idea of what's involved, but a source of comfort in the move itself as well. Contact us and ask about our repeat customer, long-distance moves and business contract discounts.